When you’re coming up with a home plans it’s always great to have an idea of what the actual rooms will look like when they are completed. 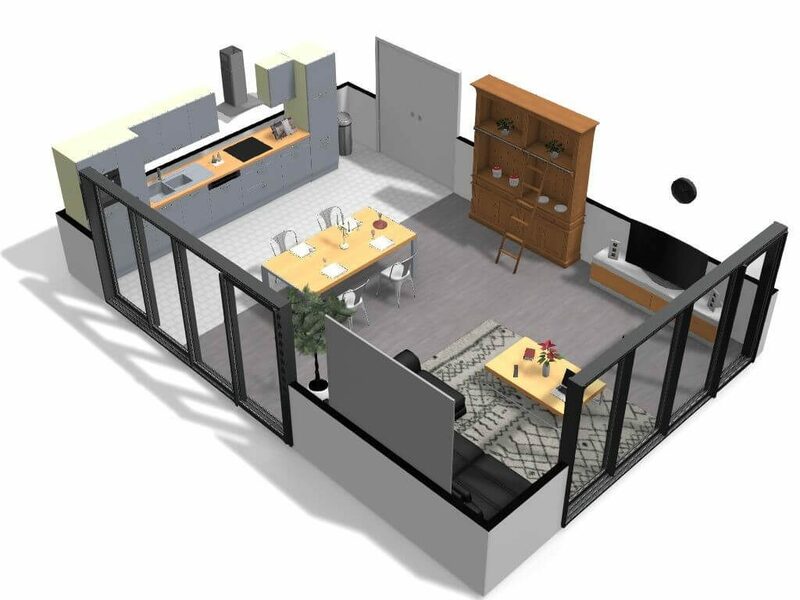 With the help of online applications, you can actually get renders of virtual rooms, and they are free! 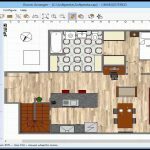 You don’t have to purchase expensive computer programs, tutorials or books, all you need is an internet connection and access to a free virtual program that will allow you to help you design specific rooms for your home; whether you are building a new house or renovating an existing one. You can easily try out various colors, move walls, create partitions and plenty of other virtual alterations without having to purchase any application. This is a great program that allows you to upload your personal floor plan or customize the pre-loaded plans that come with the application. 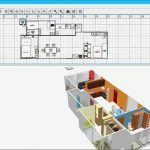 Roomstyler 3D Home Planner, which was formerly known as My Deco 3D Planner, allows users to insert doors, windows and doors. There are also a range of interior finishes available in the gallery. This is an easy-to-use program with a simple interface that allows you to easily shift viewing positions in order to see the elements from different angles. To enhance the final render you can insert actual accessories such as small kitchen appliances and even tools in the garage. If you like the decor that you have included in your rendered model you simply click on ‘available for purchase’ and you will be able to find out the price and locations where you can access the actual products. If you always on the go you will be happy to know that there is a free app available. 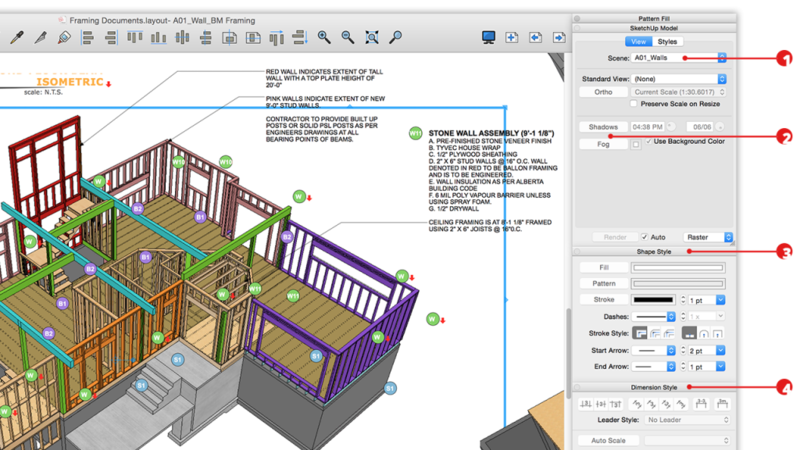 This arguably the most feature-rich free room design tool available. 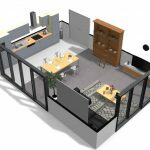 It is a very interactive and simple program that allows you to design rooms and even focus on specific details such as window style, partitions and stairs. Planner 5D is not just for interiors; it can also be used to develop designs for pools, landscapes using vivid 3D graphics. It is quite cumbersome to keep collecting material samples from stores and taking time to try out different combinations in your home. This problem can easily be solved by using this virtual 3D program. 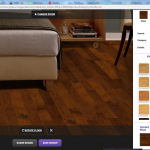 It enables users to see various color combinations for floors, walls, cabinets, ceilings as well as countertops. Users of Design a Room can select various styles, textures, colors and textures for specific rooms. The themes available include traditional, global fusion and contemporary. To help users choose the most suitable finishes, the application enables you to access Armstrong’s extensive inventory of finishes. You could also choose from a range of paint colors from Benjamin Moor, PPG and Sherwin Williams. Design a Room is great because you can choose actual products to include in your final render and find out more information about them before making any purchases. The program also includes advice and recommendations. For instance when you are designing your kitchen you may come across a message saying hardwood floors are not recommended. This will ensure that the final render is both attractive and functional. As you browse through IKEA catalogs it is common to wonder how certain products would look in your home. 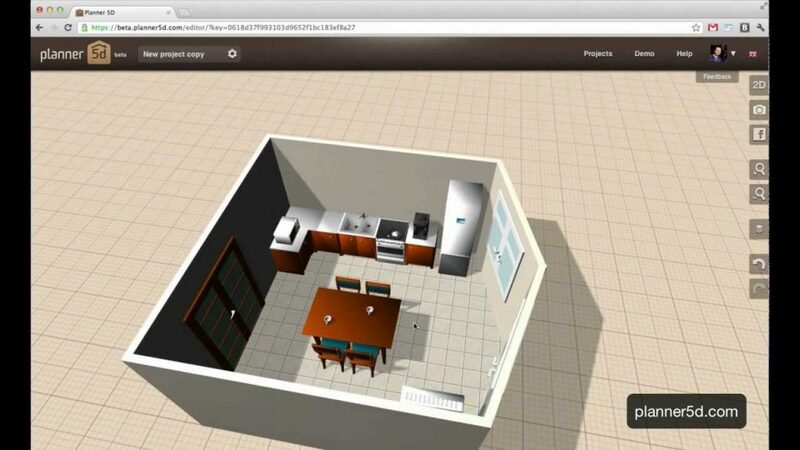 With the IKEA Home Planner Tools you can now see how an IKEA desk or bookshelf would look in your living space. 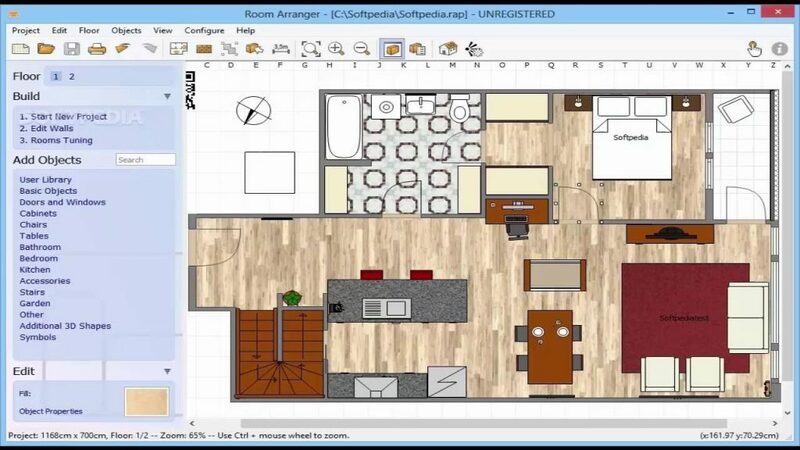 This easy-to-use tool enables users to go a step further and configure floor plans using a IKEA decor and furniture. You can also calculate the cost of products included in the the final render, make a print out and present it to your preferred IKEA store. 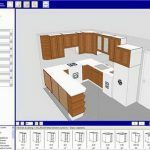 In addition to the earlier mentioned IKEA Home Planner Tools program, IKEA has a tool that is specifically for designing kitchens. 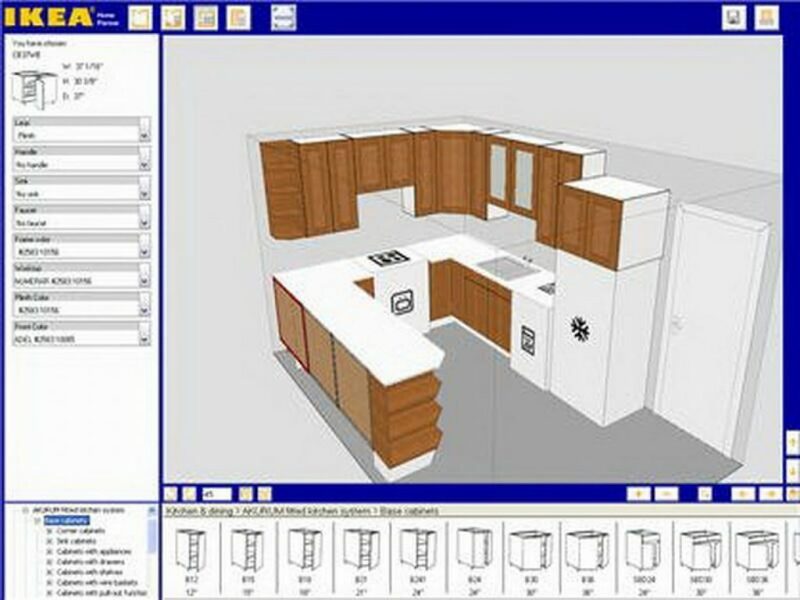 The IKEA Kitchen Planner enables you to preview virtual features of your preferred kitchen including cabinetry, appliances and various other kitchen components on your computer. The application also allows users to itemize shopping lists for IKEA components so that you are able to find out how much the new kitchen is bound to cost you. The process is quite simple. All you have to do is enter your preferred dimensions and openings such as windows and doors and plan your kitchen space by organizing appliances, cabinetry as well as organizational products. 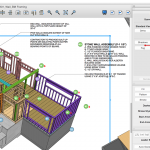 The creators of REVIT, 3ds Studio Max and AutoCAD have come up with Autodesk Homestyler which is a suitable tool for planning your home or office. This is a very user friendly application that actually does not require any professional training to operate. It is mostly a drag-and-drop process which is quite simple. You could create floor plans and ultimately create your own personalized interior design. Windows and doors come in a number of variants and users do not require any kind of special clearance to use. 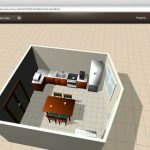 The 3D tool for floor and room styling is also very easy to use and does not require any professional training to use. Professional users who require more complex tools can choose to buy the Pro version which has plenty of added features. Homestyler has a decorate and furnish function that allows you to choose from a range of appliances, furniture, cabinetry and plenty other decor items. This allows you to personalize your final design with your preferred items from a number of manufacturers. After completing your design you simply save all the settings and print it out. 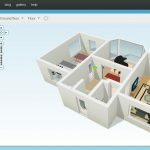 This is a great free-to-use 3D software that gives you access to plenty of customization options for various rooms in your home. This application is free but has a login progress that has to be completed before accessing the tools. There is also a downloadable version available that has additional features such as advanced manipulation and exporting functions. The user interface is divided into four sections. 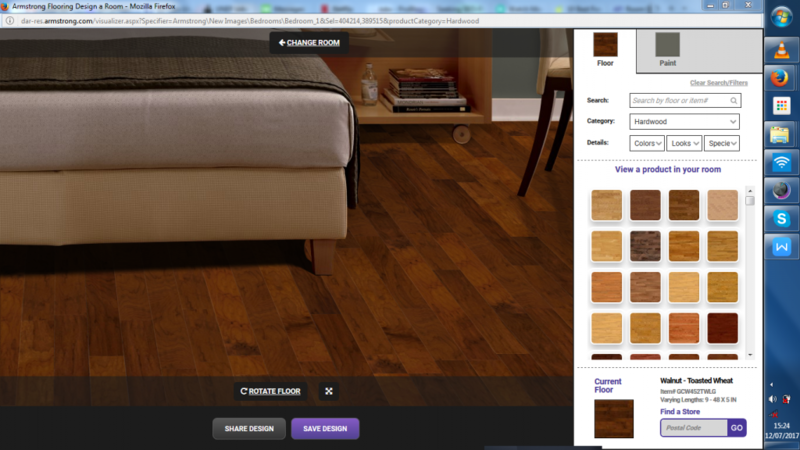 There is a furniture catalog that allows users to pick a number of components and use the drag-and-drop feature to insert them into the floor plan. The list of home furniture displays all the relevant dimensions of every component by size and name. The home plan displays windows, doors and walls in 2D format and all the components can be viewed conveniently from a birds eye view. The 3D view format allows you to view all the components in 3 dimensions that allows for better visualization of the home design. 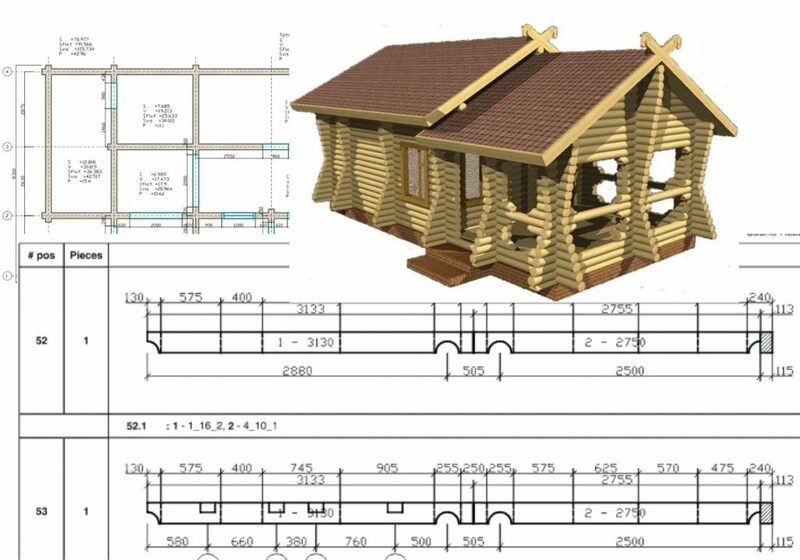 In order to import your own plan onto the Sweet Home 3D platform all you have to do is import it, scale it and thereafter trace it over your chosen plan so that there is no guesswork. Sweet Home 3D is a rather simple application to use but if you want a more professional final product you could use the available advanced features. 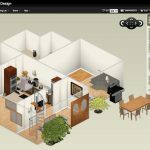 The Home Renovator is the ideal online tool if you want to create a virtual representation of your home interior. Once you choose the right designs, you can go ahead and buy the relevant materials to help you get the final result that you wish for. This application allows you to pick out the right components including paint, drywall, ceiling tiles, ceramic tiling as well as deck designs. 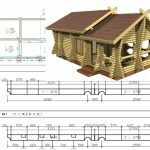 Home Renovator’s website has free worksheets that can be used to enter your specific measurements and review the tool requirements. After this, you will receive a report that will tell you the amount of material that is required for your particular project. You will also get a budget that you can refer to when you negotiate prices with your local dealers. Lastly, the application provides detailed illustrated instructions which show all the required placement and cutting of materials. This will make the implementation process much simpler. This is a suite of software programs that is used for visual graphics, project charts, presentations, marketing charts, flow charts and timelines. In the flowchart application you’ll come across the general floor plans as well as individual room plans. SmartDraw will allow you design, personalize and present drawings for both novice and professional levels. This means that you can use the application to plan apartments, individual rooms, office spaces as well as building elevations.SmartDraw is ideals for individuals and business ventures who do not want to fork out a lot of cash for proprietary design software. However, it is important to note that this application is free for a certain period and if you enjoy using it you can buy the full featured program. 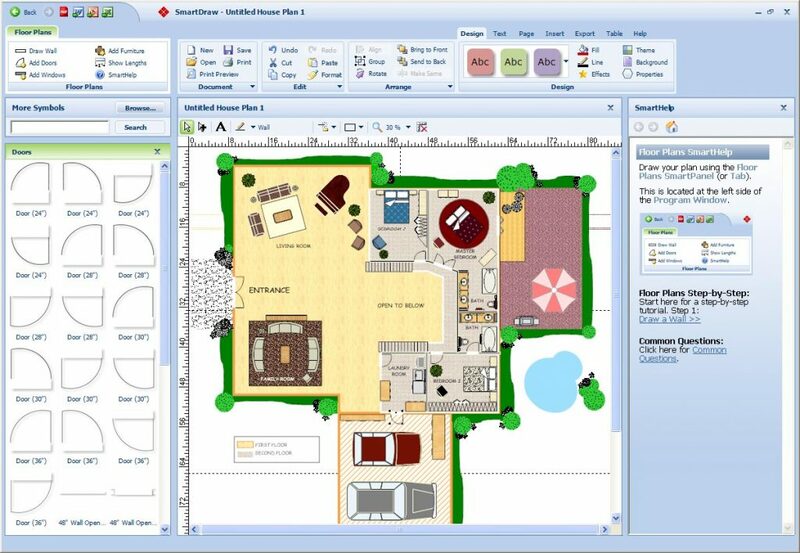 SmartDraw has a wide variety of building materials, furniture and preset plans to choose from. If you are comfortable using computers and love tinkering with design elements, this is probably one of the best applications you should consider. 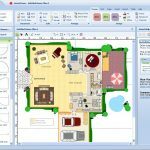 This is an entirely free downloadable program that enables users to access room planning tools. You can start out in 2D mode and build a room from the ground up and finish off by choosing the right furniture and accessories to compliment the room. Once you are done with this, you can shift to 3D mode where you convert all the components into 3 dimensional features. The 3D effect helps you to view the final render much better. For instance, you could make the walls fall away in order to see the interior design that you have created. 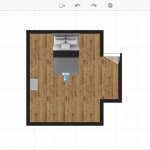 This is a great application that allows end users to draw, design and view your space in virtual form before you can implement the design to your actual home. You can use it with minimal computer skills due to the easy-to-use interface and concise instructions. However, the final drawings will depend on your skill level and objective. 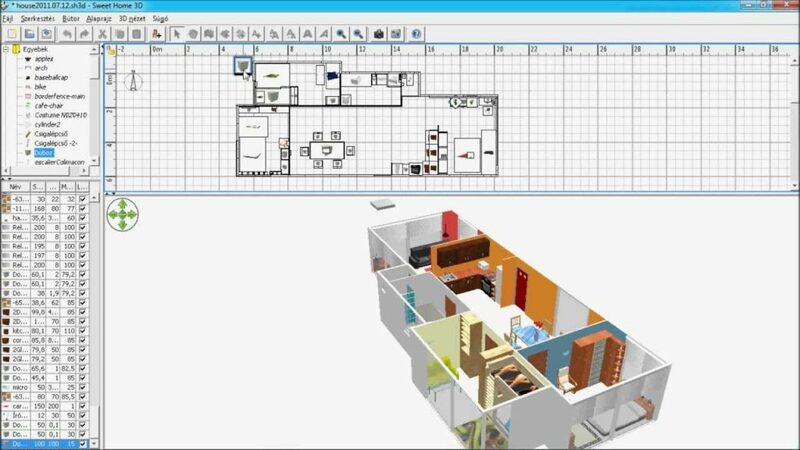 This is a great 3D floor planner that offers you a selection of virtual elements such as walls, doors and windows that help in creating a render of your home or office space. The program also has an embedded camera function that allows users to see all the features from a number of viewing angles. It is important to note that the free version of this program allows users to only create one full projects. Any other subsequent projects would require payment for added features such as high resolution images, 3D rendering and exporting capability. This is a versatile tool that you can use to create a wide range of 3D models. This application is very functional and uses lines and shapes to create whatever virtual element you want. The lines and shapes can then be converted into more attractive 3D images that are more presentable and functional. With the profile builder you can create parametric profiles that are used to draw anything from walls to stairs. To customize the images you can use vertex tools to stretch, twist or bend components according to individual preference. This is a downloadable application that does not require extensive computer knowledge to use. 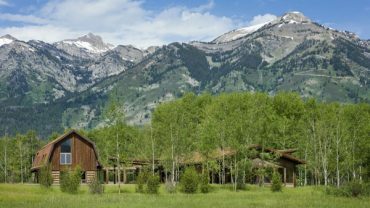 Before downloading the program you will be required to specify whether you’ll use SketchUP for personal projects, professional work or educational use. SketchUp has a number of preset models that can be tweaked to suit your taste. The final rendered images can easily be shared with family or friends via the internet. 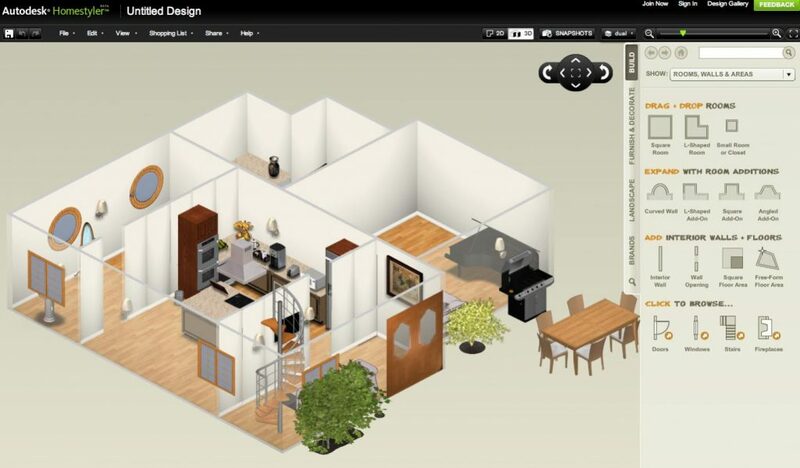 This program enables you to create functional apartment,floor or room plans using an interactive user interface. When you get used to the basics of the application you will be able to create almost anything that you can imagine. There is a large library to choose various objects and accessories to complete your project. Room Arranger is a shareware program that is distributed free and users are required to register after a month of evaluation.